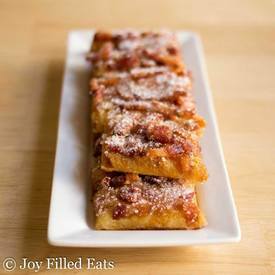 Low carb maple bacon crack! If you’ve never had Maple Bacon Crack you have missed out. It is amazing. Sweet pastry with maple and Bacon. What could be better? And now with a low carb version you have no reason not to indulge in this delicacy.